As a business and marketing executive, Marie Cosgrove has worked with some of the most recognizable Fortune 500 companies, including FedEx and Sprint. 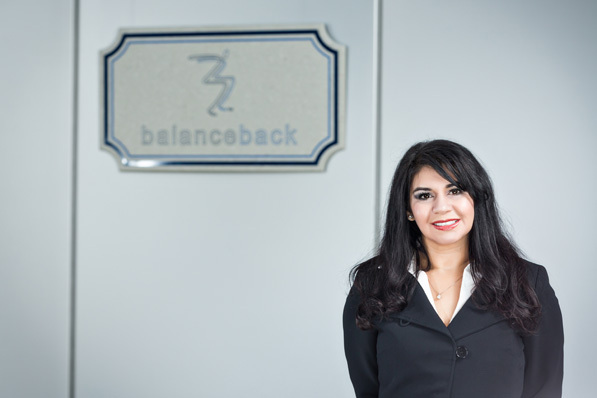 As CEO of Balanceback, considered the leader in fall prevention, her enthusiasm for her work has zeroed in on a very particular, often-misunderstood segment of the medical industry: balance disorders. Her company specializes in building vestibular instrumentation that diagnoses dizziness disorders. More specifically, Balanceback manufactures and distributes medical diagnostic and balance rehabilitation medical devices, providing clinicians, hospitals, and government facilities with technologies for those who struggle with balance disorders. Dizziness is one of the most common complaints in ambulatory care. According to the Vestibular Disorders Association, approximately 69 million Americans have experienced some form of vestibular dysfunction. The National Institute on Deafness and Other Communication Disorders reports that eight million American adults suffer from chronic problems with balance, and 2.4 million suffer from chronic problems with dizziness. Far too often, patients are improperly diagnosed for dizziness. Cosgrove says Americans routinely have CT scans ordered, though fewer than one percent of the scans performed in emergency rooms reveal serious, underlying causes for dizziness. It’s an unfortunate and dangerous phenomenon—one that Balanceback’s CEO takes personally. “My mom suffered from vestibular disorders and her dizziness went improperly diagnosed for many years,” Cosgrove says. “Fortunately, I had the opportunity to distribute the Balanceback product and introduce her to a neurologist who incorporated the Balanceback technology in a nearby clinic to properly diagnose her.” Today, Cosgrove’s mother is free from dizziness disorders and enjoys an active lifestyle. The technology that assisted the CEO’s mother is Balanceback’s patented intuitive videonystamography (iVNG) system, a quantitative series of tests that differentiate between central nervous system (CNS) disorders and vestibular disorders. The system produces a detailed report that enables clinicians to locate the root cause of dizziness. Its accuracy has been documented by Yale and Georgetown among other top-level universities. Cosgrove says the iVNG technology is a standardized, recognized, quantifiable diagnostic tool capable of differentiating between peripheral vertigo and CNS vertigo. It also assists in identifying which side of the vestibular system is abnormal in peripheral vertigo cases. Holding a C-suite position hasn’t always been the goal for Cosgrove, but it suits her. She joined the medical field as an independent sales distributor and medical device consultant. At the time, she says, there were few minorities and women in the field of diagnostic medical equipment. Despite the lack of representation, she quickly became the top medical device consultant in the nation, bringing new technologies to hospitals, clinics, universities, and military bases. When the opportunity arose for Cosgrove to purchase all assets of the company in 2010, she leaped at the chance and never looked back. Her enthusiasm for the field remains in the face of a constantly shifting regulatory environment. FDA regulations and public insurance changes have directly impacted clinicians and medical device manufacturers. Cosgrove says public insurance cuts are also affecting clinicians, with many selling their private practices and moving towards salaried positions with larger hospital groups and hospital-owned clinics. “The cuts limit the risk clinicians are willing to take to invest in newer medical diagnostic technology, which limits patients’ options in finding clinicians who have the tools that can help resolve their conditions,” she says. Despite these challenges, Cosgrove is incredibly optimistic about Balanceback’s future and intends to continue pushing forward as an industry leader.